Broccoli is well-known for its cancer-fighting properties. Now scientists have discovered it can help fight type 2 diabetes as well. No matter how often it is reiterated that vegetables are needed for a healthy diet, some people just can’t be convinced to eat their vegetables. But for those who are sick, surely there are some who would prefer a natural way to fight one’s ailment than to continue taking pills and drugs that may not only be expensive but result in some unpleasant side effects too. Type 2 diabetes is one of those diseases that affect hundreds of millions of people worldwide. It occurs when the body can’t make insulin or enough of it to properly regulate blood glucose levels. Eventually, this leads to excessive sugar build-up in the blood which can cause blindness, damage to the kidney and liver, and cardiovascular disease. Although there’s treatment available to manage the condition, there are some patients — those with impaired kidney function — who can’t take the standard treatment drug, specifically metformin, because of the side effects it causes such as bloating, diarrhea, nausea and severe abdominal or stomach pain. These patients, however, are the ones who are bound to benefit the most from the findings of a new study recently published in the journal Science Translational Medicine. 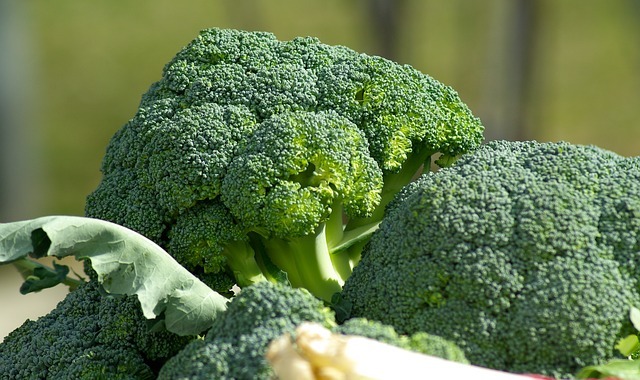 In a nutshell, researchers led by Annika Axelson of the University of Gothenburg have discovered that there’s more reason to love the cruciferous green vegetable known as broccoli. That’s because aside from its anti-inflammatory and cancer-fighting properties, it’s been found to help with diabetes too. And it’s all thanks to one of its antioxidants — sulforaphane. To arrive at their findings, the team made use of computer and mathematical models. First, they identified changes in gene expression associated with type 2 diabetes. Then, they looked at thousands of chemicals that could potentially reverse the changes. That led them to zero in on sulforaphane, an antioxidant that has already been studied for its anti-cancer and anti-inflammatory effects, but not for its effects on diabetes. Following experiments that showed sulforaphane was capable of reducing glucose levels in diabetic rats without harmful side effects, as well as decreasing glucose production in lab-grown liver cells, the team proceeded with human clinical tests. They conducted a test on around a hundred patients with type 2 diabetes. While all of them remained on metformin treatment, only some received sulforaphane on a daily basis for a period of 12 weeks. At the end of the study, the patients who took sulforaphane showed reduced blood sugar levels. It was the exact effect the researchers were aiming for their intended targets — the ones they gave sulforaphane to were specifically those who had poor glucose control and had a BMI of over 30 (in other words, obese). The daily sulforaphane dose given is reportedly equivalent to about 4 – 5 kilos of broccoli. Eating that much broccoli day after day might not be feasible, but turning it into powder form (which is what the researchers are envisioning it to be) will be so much more acceptable, especially for those who can’t take metformin. Further studies will have to be conducted before a sulforaphane-based drug can be developed and approved for treatment. We don’t know how long that will take — hopefully, the FDA won’t spend the next 16 years trying to reach a decision on the drug’s effectiveness – but having something this promising to look forward to is certainly great news for millions and millions of patients currently suffering from the disease.